Adored mod Cara Delevingne fronts the December cover of Empire magazine, and she doesn’t quite look like herself. 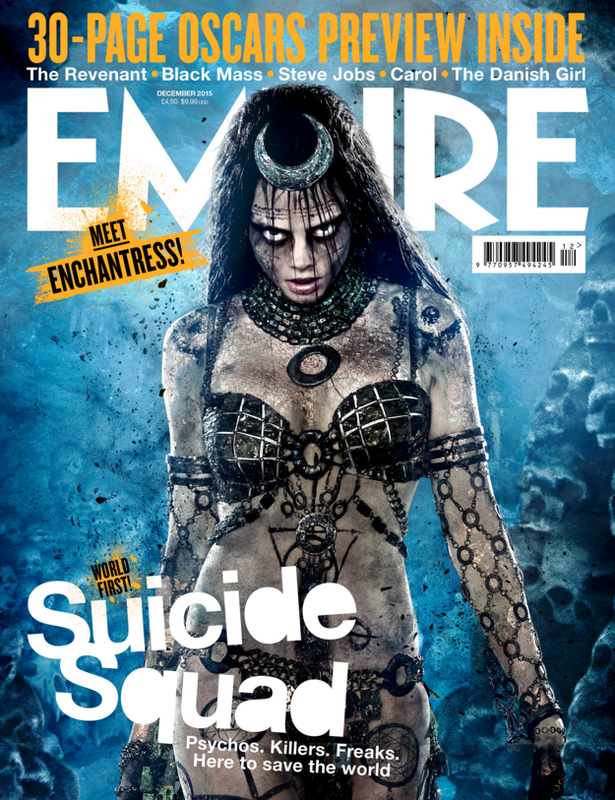 To promote her role as Enchantress in the upcoming superhero film Suicide Squad (August 2016), she was photographed dressed in her character’s look of grungy black leather and chains, zombie-esque makeup, and long jet-black mane. Starring alongside Delevingne in the action flick? 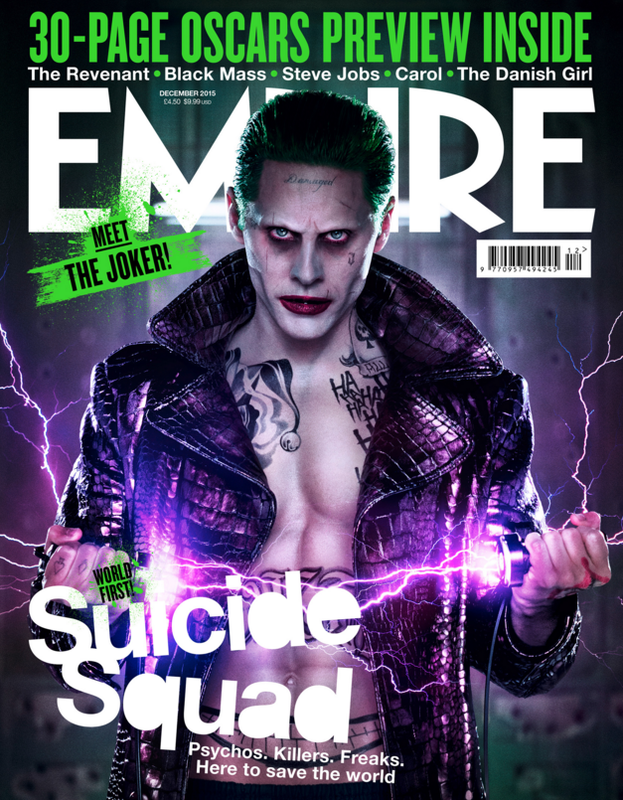 Will Smith, Margot Robbie, and Jared Leto (as Joker), and each character will debut on a cover of Empire. Find the issue with Delevingne’s full interview on stands October 29.